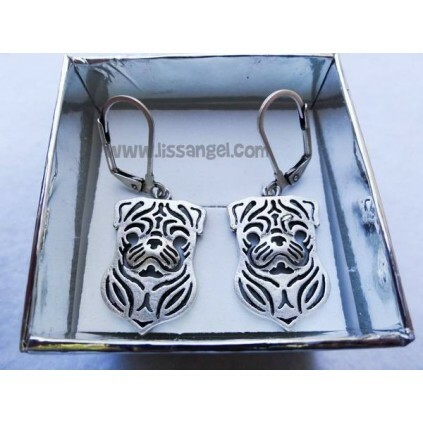 These beautiful earrings, are shaped like a carlino or pug head dog. Handmade, these earrings are made of zinc alloy and they are free of lead and nickel, so if you are allergic you should have no problems. Are you looking a matching pendant with the same design? Check out the "Accessories" tab below. Take them in your day to day, or gift them away to your most loved. We send them wrapped in a pretty jewelry box, so it will be a super original gift. Measures: 1,6cm wide x 2.3 cm high. 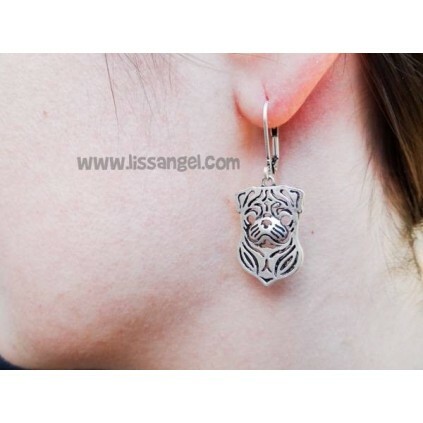 Earrings shaped like animals and what animals! With these earrings will not go unnoticed, hang a pug dog in your ear. Our original animal earrings now with the shape of dragonflies! 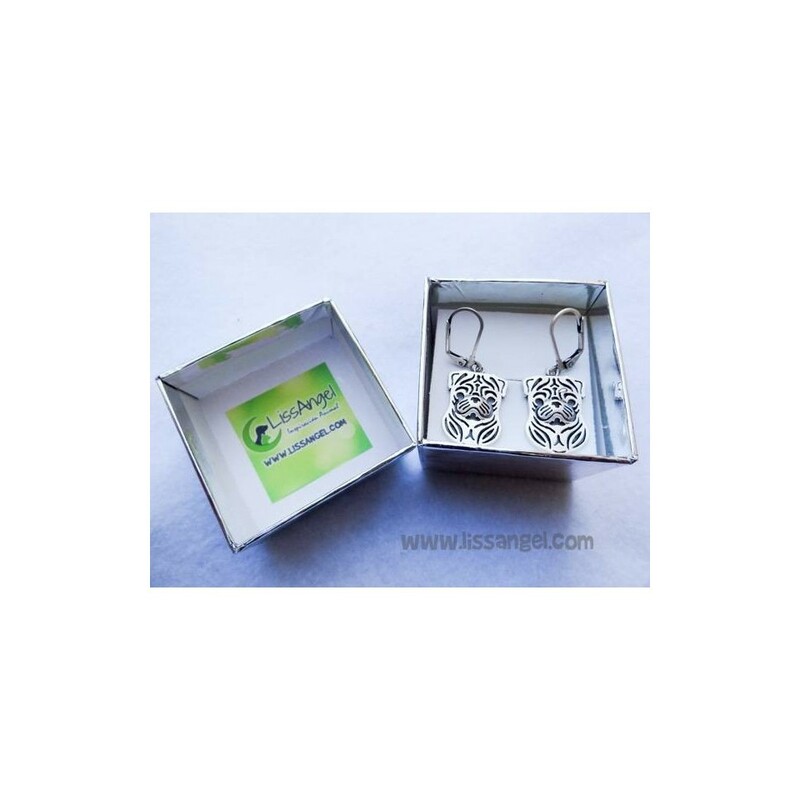 If you like these beautiful insects, you will love these beautiful earrings. A pretty vintage touch design, that is what offer these metal earrings shaped like turtles. Elegant and serious, but with that funny touch with its beautiful turtle shape. 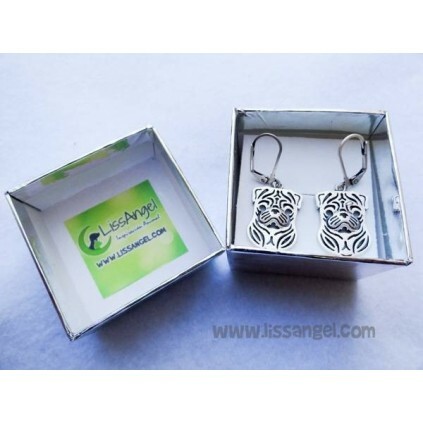 Original and elegant earrings with butterfly shape made of metal alloy with a very detailed carving. 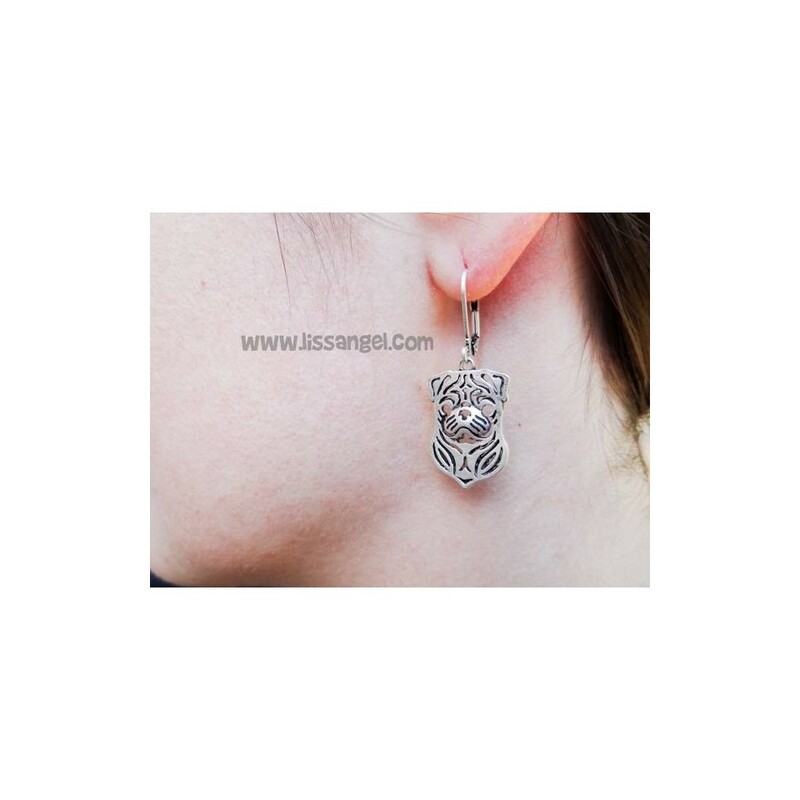 Are you surprised by our animal earrings? Beautiful vintage style in these shaped owl earrings. 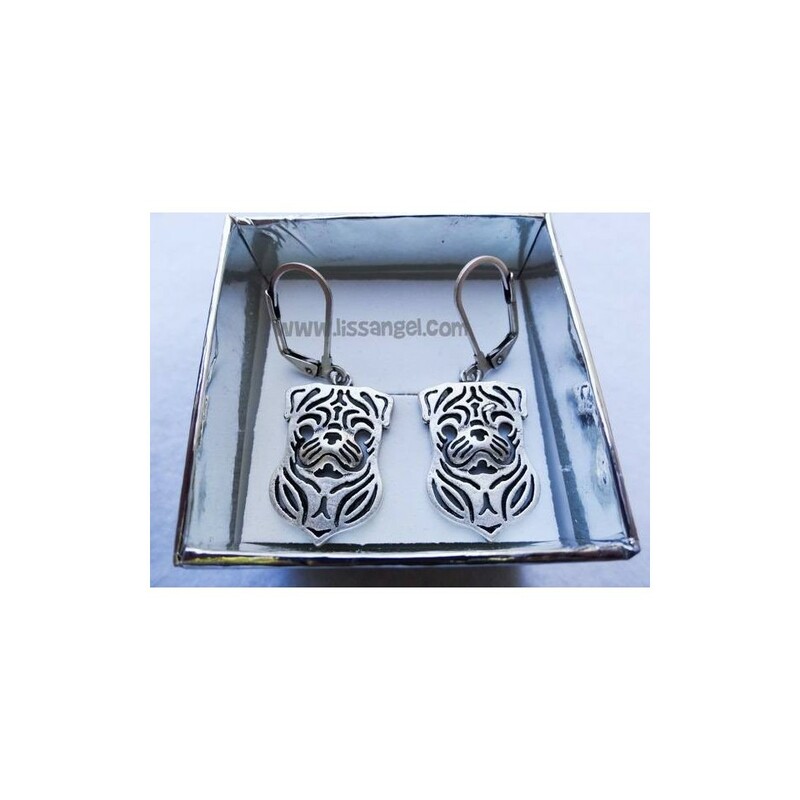 Another nice choice from our wide catalogue of animals earrings. Do you like them? Take a look at these owl shaped earrings, which stand on a branch. Modern aspect in general with an avant-garde touch. Our collection of animal earrings it's growing! We present these chrome plated earrings, very pretty with the shape of a cat in seductive position with two bright embedded. Muy bonito, era para regalo y Le encantó, envio muy rápido.